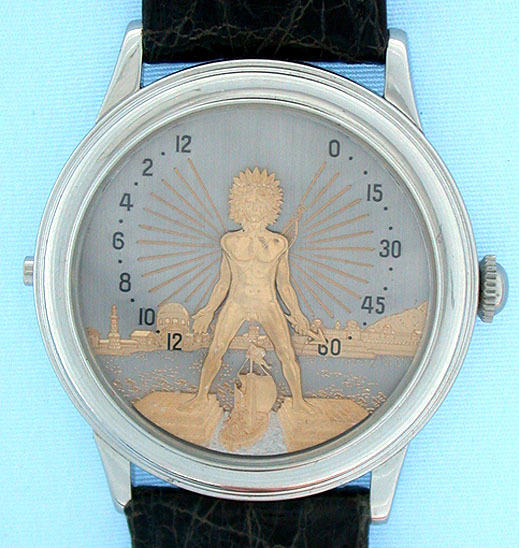 Fine and very rare large Swiss platinum "bras en air" automaton wrist watch by Gubelin circa 1990, unique in platinum. 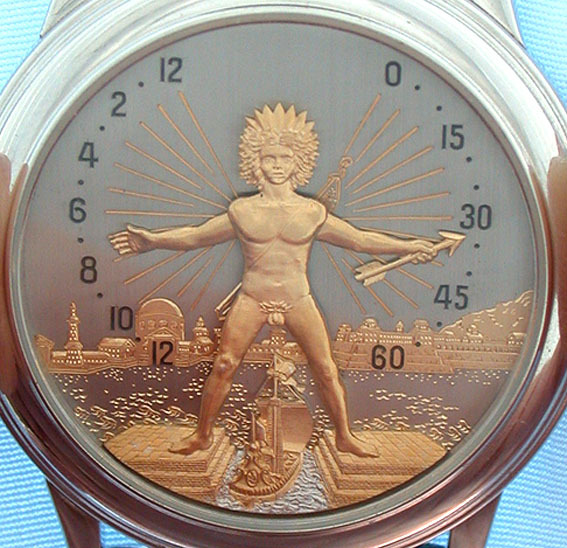 Beautiful silver dial with a gold background view of ancient Rhodes with the Colossus of Rhodes raising his arms to indicate the time at the push of a button. This statue was one of the wonders of the wonders of the ancient world. Plain polish case with downward sloping lugs and two backs, one fitted with a sapphire crystal. Nickel 17 jewel adjusted Incabloc movement. This watch was finished for Gubelin by Richard Daners, a famous and highly regarded Swiss master watchmaker. The movement is signed Gubelin and RD. The case back is signed Daners, 1 of an edition of 7, unique in platinum. 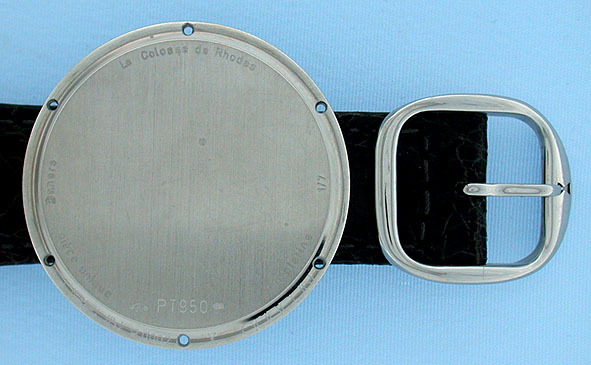 With original platinum buckle. 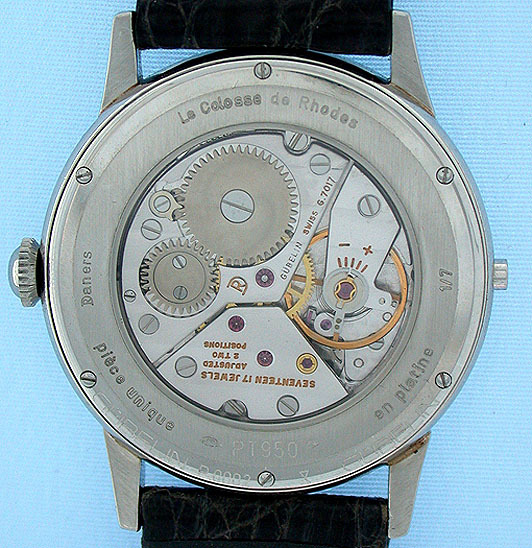 A wonderful complicated watch in like new condition.